If you're looking for a new dish to add your dinner repertoire, this lactose free Portobello mushroom burger recipe is perfect! Combine Portobello mushrooms with lean ground beef for a juicy, robust burger that the family will love. 4 ounces of shredded Cabot Alpine Cheddar infuses the burger with a uniquely cheesy flavor. The burger patties are easy to make and you can pan-fry them in the kitchen—no need to fire up the grill! 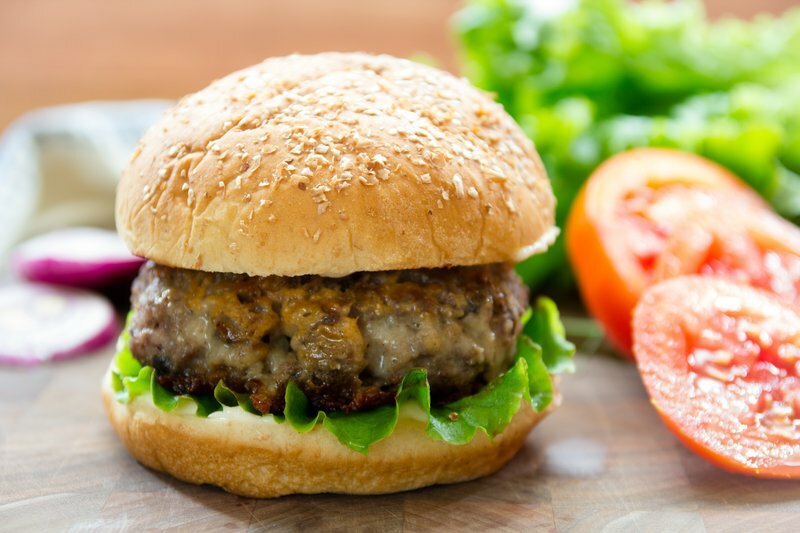 Serve it on a warm, toasted bun with your favorite crisp veggies and condiments for a heavenly burger. Be sure to rate and review the recipe once you've given it a try! Portobello mushrooms are the perfect complement to hearty ground beef. The earthy, smoky flavors complement each other perfectly when fired up in the pan. Combined with the melted cheesy goodness of the shredded cheese, this Portobello mushroom burger recipe is mouth-watering good. 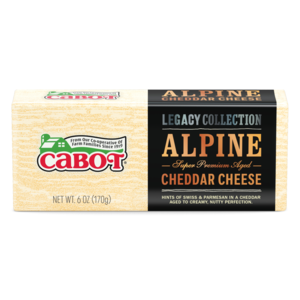 Our Cabot Alpine Cheddar is a creamy Swiss and Italian blend that offers a unique nutty taste. 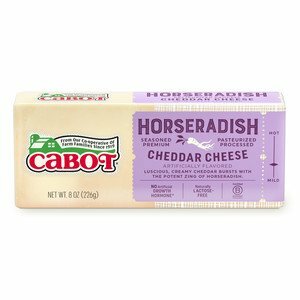 Cabot Horseradish Cheddar or Cabot Seriously Sharp Cheddar also make great alternatives to the Alpine Cheddar. Choose your favorite cheese or try them all! Portobello mushroom recipes can add a nice twist to your regular dishes. Instead of sticking with run-of-the-mill burgers, give this a recipe a whirl for a scrumptious alternative! Your family will love the difference that our award-winning Cabot cheeses make, and this recipe will quickly become a dinnertime favorite! We love hearing feedback on our recipes, so don't forget to review the dish and share any thoughts or tips with other Portobello aficionados. MIX mushroom, cheese, breadcrumbs, salt and garlic powder together in a large bowl with clean hands. Add beef and gently break up the meat and toss with the cheese mixture. Gently press meat and cheese mixture together, kneading ever so slightly. Do not over work or it'll be spongy. Form into four 4-inch patties. Sprinkle with pepper. BRUSH oil over the bottom of a large non-stick pan and heat over medium heat. Add patties and cook until crispy and browned on the bottom, about 5 minutes. Turn gently and continue cooking until the burgers are cooked through and the cheese is melting out the sides of the patties, about 5 minutes more. Let rest 2 minutes before assembling on the buns with optional accompaniments. To see more Legacy Recipes click here.